We have at last released Dark Journey, the first full length published adventure module by Kim Hartsfield. This thing is just awesome! I am very pleased to announce that Peter and I have at last finished the map of the World of Aihrde...well, that's not entirely a correct statement. The World of Aihrde is a huge place, roughly 7500 miles in diameter, with a circumference of 23000 miles. There are six continents and scores of smaller land masses, three major oceans and a dozen or so seas. It is peopled throughout . . . but I digress. The Map that we have finished is that portion of Aihrde that serves as the heart of the world, where the peoples of Aenoch and Ethrum first met and from where the Unklar the Horned God ruled for the thousand years of the Millennial Dark. It is called by scholars The Cradle of the World or more commonly (in the Vulgate) the Lands of Ursal, being a reference to a great Ursal Bridge that connected the lands of Ethrum and Aenoch. Built by the Dwarves in ages past it stood the test of time, only thrown down by the Ethrum Kings in their bitter wars with Aenochians. So that map that we have finished is that of the Lands of Ursal, the Cradle of the World. Peter Bradley has out done him self with this map and I am very pleased with its final look. This should be made available for consumption in the coming week. All that remains now is to decide how to print the map, what type of paper and format. We had at first wanted to present 9 maps, one each of a section of Ursal, but looking at the final it seems a shame to cut it up. Now we are exploring methods to get one large map printed (the final is 55 x 36), or perhaps two smaller ones. As we muse over this, please check out the map and give us your thoughts; it always helps to clarify our thinking to hear opinions from those other than in the shop. 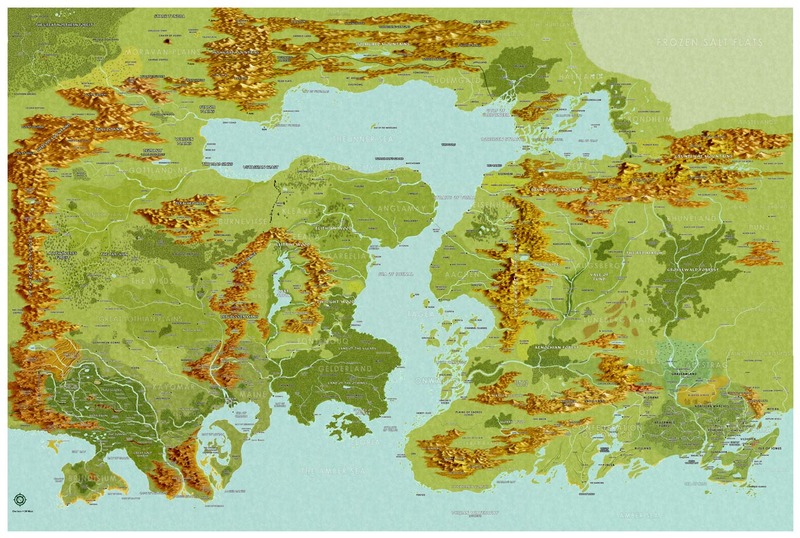 Larger look of the Lands of Ursal. As many of you may have heard Tim Burns has stepped down due to other previous commitments. Though what in the world could be more important that talking about Kim Hartsfield's Dark Journey is beyond me. Tim did a huge amount of back breaking work in a very short period of time and we will always owe him a great deal. Of course one thing he did was restart this blog, that I had thankfully forgotten about and never posted on. And apparently its a good place to talk to people. So I'll try to take over the helm from him and see where it leads us. I have decided to do a little shaking up around here. Davis and I had a nice long discussion last week about what we are doing and what we want to do (he's deeply involved in the Inzae setting right now). There are several ongoing projects we want to put a wrap on and others we would like to sink our teeth into. But most notably we are going to unplug the print shop from outside work and focus on Castles & Crusades, Airhde and building this whole band wagon. Too often, my time and the shops time is consumed by tons of outside, work that may pay well, but in the end detracts from TLG's focus. After this I will start cherry picking projects that continue to languish in the dust bins and either resurrect them and get them finished or pull them from the line entirely. To this end we are hammering on the maps for the World of Aihrde first. These have been mostly done for some time and only needed more from me and Peter Bradley's fabulous layout. All this is of course preparatory to getting the Codex of Aihrde re-written. I'm not sure what will be next, probably A8, but as we unravel it, we'll keep you posted here and everywhere else. Over the weekend I had a chance to chat with Kim Hartsfield, the author of the latest module to come out of Troll Lord Games. Kim has written for TLG before, he wrote "They Call Him Guff", a short one-shot adventure and which is still available for purchase. I asked Kim to tell me a little about Dark Journey which has been in the top 5 in sales at RPGNow.com since its debut. Me: Dark Journey is selling really well. Why do you think that is? Kim: Dark Journey is really "old school". Like Steve [owner of TLG], I feel that term is misleading and overused, but it fits. 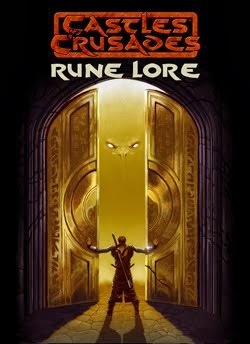 A fun-house, dungeon crawl with little background, but full of danger and fun... It's a low-level adventure... a classic dungeon crawl. Players that have been RPGing for years will find it to contain a lot of nostalgia. It is easily converted to d20 systems, including Pathfinder, D&D 3.x, OSRIC, probably Savage Worlds. Even systems that make it difficult to port over, the plot and fluff can easily be used in other systems, just not the mechanics. Its not really difficult. Me: How did you come up with the idea of the rooms, the general layout? Kim: The old AD&D Dungeon Master's Guide had a dungeon making matrix. I used that for the first level, that's why it looks so random. But that's the way I did it back in 1984 when I first started writing. The other levels, I laid out a bit more symmetrical, especially the lowest level. The content was just 25+ years of writing dungeons. I just tapped that old, nostalgic mind of mine. Me: How long do you think it would take a typical gaming group to go through Dark Journey? Kim: It would take multiple sessions. I would imagine 3-5 sessions, with each session being 4-6 hours... maybe 18-24 hours. And it has three levels and 100 rooms. That is large for a pre-written module. Me: So what do you do when you are not writing for TLG? Tell me a little about yourself. I've met you once at the Troll Dens, but I was in and out that day and we didn't get much of a chance to talk. Kim: My day job is repairing / maintaining medical equipment for Siemens Medical. I have been doing that for about 5 years. Before that, I was in the Navy for 10 years. I am married to Marianne Hartsfield, have a 23 year old daughter and a 11 year old son and make my home in Mississippi though I was born in Pine Bluff, Arkansas. Me: How did you get involved with Steve and Troll Lord Games? Kim: I heard there was going to be Lake Geneva Gaming Con in Lake Geneva, at Gary Gygax's house. I was living in Little Rock and wanted to go. Then I found out that the company putting the con together was located in Little Rock. I called Steve, having never met him, and said I was going to LGGC and offered to help if he needed anything. He didn't, but I talked with him at the con and said, since I lived in LR, we should get together for a game. Then he had Breakdaddy [Jason Alexander] contact me when we got back. Me: Cool, are you working on anything else for Castles & Crusades now? Kim: I am currently writing a monster book. 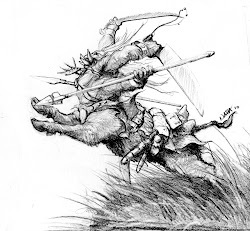 Pete Bradley [artist and layout for TLG] has most of it, about 150 monsters. I am going to write up about 50-75 more. Me: Excellent, I bet people will be excited to see that. When is it going to be released? Kim: I hope to have it out by GenCon, but that's tenuous at best. Me: I look forward to it and to seeing you at GenCon. Thanks for taking time to talk with me. Kim: No problem, thank you. Kim Hartsfield's work can be found in print at the TLG store and in PDF at RPGNow and DrivethruRPG. To learn more about him, you can check out his blog. A word of caution: it's not for the faint of heart. He can also be found on Twitter. His wife, Marianne Hartsfield, who also enjoys gaming, is on Twitter as lilbytes and has a very entertaining and informative website. Because of the power being out at TLG, we are extending the weekend sale on bundles to count as our Monday Markdowns. Please click here to save on these great bundled deals all this week. Thanks and we hope to be back up and running very soon! Apparently the storm that went through LIttle Rock was a F1 tornado, which would explain why when Steve and Todd got back home, there was no power. So the main Troll Den is down for the day, print shop is offline as well. You should be able to still place orders on the site, but orders won't be filled until tomorrow or the next day when power is restored. Until then, if you need anything, email Tim at tim@trolllord.com. Thanks and we apologize for any inconvenience this may cause. To Egypt Wars We Go! Well, a couple of us anyway. Despite a massive storm delaying the trip, Steve and Todd left this morning to the Con called Egypt Wars in Carbondale, IL. It's a Con we have been going to for years, and one of Steve's favorite for that very reason among others. Scott Thorne owns and runs Castle Perilous, a great gaming store in Carbondale, IL. Three days of gaming, good times and more gaming, Steve and Todd will be living it up while Davis, Mark and myself toil in the Dens. Myself, I've got a spring cold, which has meant that the twitter feed and usual rabble I produce each day has been diminished somewhat. But we do have our Twitter only sale ongoing today and this weekend I'll be bringing pics and info and anything else they will send me from Egypt Wars. Plus, I'm going to do a huge bundle sale over the weekend; bringing back some of our more popular bundles and making some new ones as well. Question about Troll Con - Please give us your feedback! Because of a host of factors, we are considering moving Troll Con to September instead of July. We are having trouble finding a proper venue for it at that time and a number of people have said it is too close to the 4th of July Holiday (we were thinking the week after that). If we did it any later in July, we risk losing people who are also planning to go to Gen Con and we don't want to miss out on anyone who wants to make it to Troll Con. So we are asking for your thoughts, feedback and opinions on moving it to September. So please post your thoughts/comments here and we will consider all the possibilities and let you know how it all shakes out. Thanks in advance for your responses; we want this Troll Con to be the best one yet so we value your opinion. 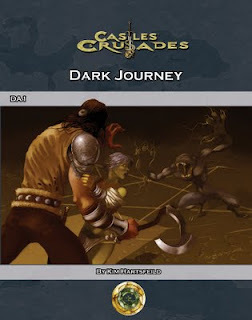 Contest Winner Announced and Dark Journey released in PDF! Congratulations to Kevin O'Brien for winning our contest. He correctly identified the state bird of Arkansas (no, not the mosquito as someone said, LOL) as the Mockingbird. For answering correctly and being picked at random he received a free copy of Dark Journey. We didn't quite make it to 150 entrants (we were so close!) so we only gave out one copy. But stay tuned for next month's contest and any other giveaways we have and you might win! Like someone else said, you can't win if you don't play. Win a brand new adventure from Troll Lord Games! Now here's how you can win your free copy of Dark Journey. Simply answer the following question and email the answer to tim (@) trolllord.com. Please remember to put "Dark Journey Contest" in your subject heading. Q: As you may or may not know, TLG is based out of Arkansas. What is the official state bird of Arkansas? It's as simple as that, send in your answer BEFORE midnight Tuesday. One lucky winner will be drawn at random and sent a copy of Dark Journey. Also, in the mail, please let us know if we can reprint your name on the blog once the contest is over. ADDENDUM: Please spread the word... If we get 150 unique entrants, we'll have two drawings! Hope everyone had a great weekend, mine was spent outside, cutting down trees, brush, bramble and burning it all -- in 90 degree heat. Add the heat of the fire and we were way too hot. My two friends and I would have to take frequent breaks and get in the water. But it is starting to look better and I will, just for fun, put up some pics of it later on the yfrog feed. We didn't get nearly as much done as we wanted to, but that just means we will have to do it again. Cooler weather next time, I hope. As you may or may not know, our latest release was the Book of Familiars for Pathfinder. It is still on sale at our store at a reduced price when you pre-order it directly from us. You can find it here: Pathfinder Book of Familiars. This price will only last until it is ready for shipping and taken off pre-order, which will likely be by the end of this week, so hurry and get your copy today. 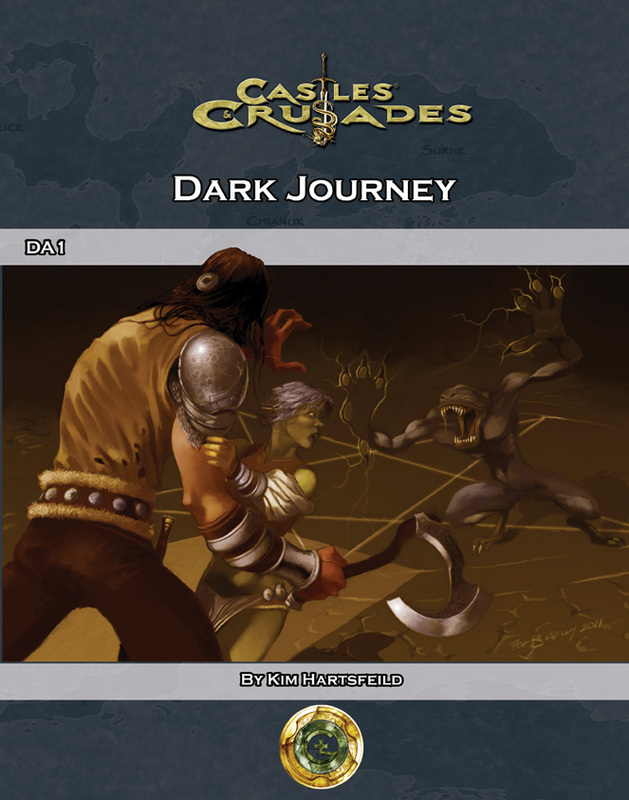 Our next offering for Castles & Crusades will be Dark Journey, a dungeon adventure cast in the classic mode. Here the CK is able to present the players a network of inter-connecting halls, rooms, chambers, cellars and more. A wizard's old hold, it offers libraries guarded by strange monsters, laboratories, cellars, trapped chambers and more; here lies the wizard's forgotten wealth, his magic, his money, his artifacts. But the adventurer must be wary for wizard's do not idly set treasures down but that they are trapped or protected by guards and wards and monsters summoned from dark places. It will be available soon through our TLG Store and in PDF as well. Mortality of Green (PDF) Get it for 50% off! 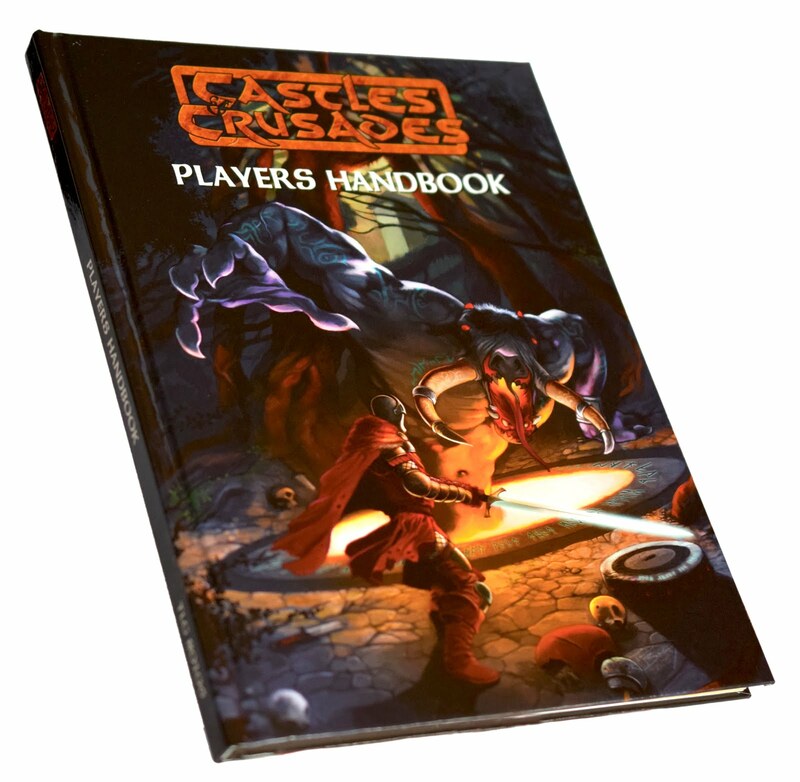 Castles & Crusades: A Starter Guide (PDF) I'm excited to bring this one back, it's got great value and you get everything you need to get up and running with C&C and more, including a 3D Dungeon model from Fat Dragon Games! It's been a while (since the wrap up of Gary Con) that I've posted a blog other than sales, and there is a lot to talk about. If you already know you want to purchase it, click: Pathfinder Book of Familiars and it will take you right to the order page. In addition to putting this on special for the preorder, we have also put a few other items on special as well, you can find those here: Specials. Unlike the PDF specials we have been running lately, these are all in Print form, some Hardcover, some Perfect Bound. All C&C items on special are 50% off. In addition, Dark Journeys is all wrapped up and will be available to be ordered soon. I will post here and the usual haunts once it is ready for sale. I have mentioned before that most of our products are available on Amazon. Two main reasons we do this are 1) Because of the exposure to a larger market this gives us, and 2) The shipping rates for customers are usually much better than we can offer, especially for those outside the United States. Because of their size and distribution capabilities, they can offer substantial savings in shipping costs, especially for those who need international shipping. You can shop for our TLG items from Amazon and other places directly from our website in the TLG Marketplace. 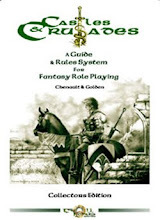 So if you are in Canada, or Europe, Australia, et cetera and want some Castles & Crusades goodness, you might check out the options at Amazon. In other news, I'm trying to get the word out about our revamped Castles & Crusades Society. Eric Piper helped create a great site and Steve recently messed around with the colors and layout and it is looking awesome. Some people prefered the older society page because it was easier for multi channel chatting and we are working seeing if we can make it easier on the new site. But it is still possible to chat on the new C&C Society page and there are plenty of things going on there, blogs, updates on Cons -- seeing where other Crusaders are going to be and notes from us Trolls about the blogs we've been to. There's even a place to share photos and videos. So if you haven't checked it out yet, come join us! And if it's been a while since you've been in, come back and check out the new look and let's see if we can't get some Friday Night Chats going there as well, and some games, talks, etc. While I'm touting the Society page, I might as well remind everyone where else you can find the Trolls on the internet. We have a Facebook page for both Troll Lord Games and Castles & Crusades, a Twitter feed, the Troll Lord Website, and yours truly (Tim) has a Twitter account too that retweets a lot of what is on Troll Lord's but frequently talks about other things, such as TrollDog Maggie or the TrollDens North Annex (aka the cabin on the Spring River). A Possible Google Map for C&C players? We are thinking of doing something that was suggested by a forum member (Terry, aka Demiurge). Actually we are thinking of taking their idea and expanding on it a bit. It was suggested to us that everyone might find it useful/fun to have a google (or some type) map showing where forum members are. You can do that now, sort of, by looking at the listings under ppls names on the forums, but this would be in a map setting. And we thought it might be interesting to expand on that idea, to maybe include all C&C players and those that might want to play C&C but have no idea people around them are playing, sort of a gamers seeking gamers part of it. Please note that this would be strictly optional; you do not have to be a part of this map if you don't want. It would be only an opt in deal for those that are interested. Would anyone be interested in something like this? Would you find it a good tool for finding players, talking to players, seeing where people are and maybe that would help get more games going? We've had some great growth spurts over the past months and have seen an increase in forum use and society membership and met lots of people at Cons who love playing the game but then go home and have no one to play C&C with. So please leave a comment after this blog if you have an opinion. The larger the poll size, the better it will help us decide whether we want to do something like this. Thanks! James Ward Bundle -- If you are a fan of James Ward (and really, who isn't?) you will want to get this deal. 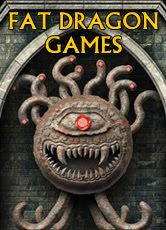 In honor of Mr. Ward, who was with us at Gary Con, we are offering all of his material (Tainted Lands, Towers of Adventure Master, Of Gods & Monsters) written for Troll Lord Games at over 50% off in one bundle! Get these while you can, because by Sunday night, these bundle deals will all be gone! A quick reminder, if you don't already follow us on Facebook or Twitter, you may want to check us out. You will get the latest information on upcoming titles, pictures of our trips, videos, the inside scoop on all things Troll Lord Games and Castles & Crusades. In addition, you can visit our TLG Store where all of our items are for sale in print form and links to our forums where you can discuss, well, anything you would like!